Japanese beetles are easy to spot in a garden. They are metallic-green with copper-colored wings and are about 1/2-inch long. 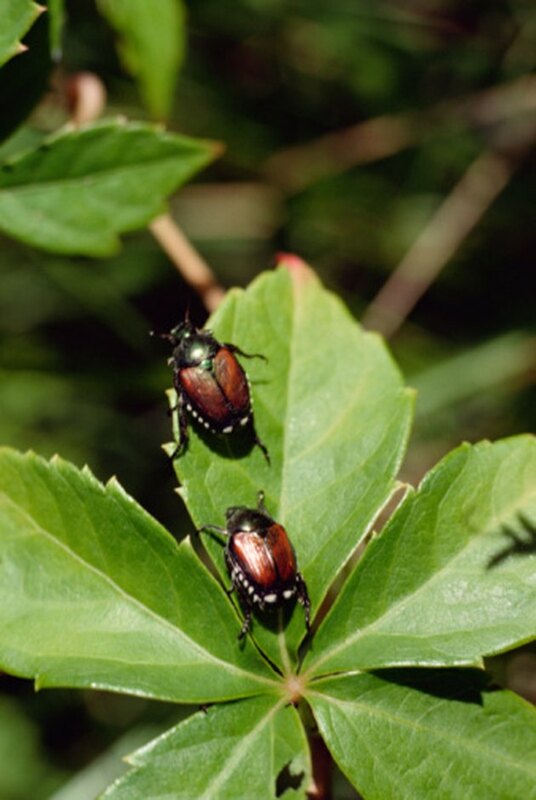 Japanese beetles can cause extensive damage to plants, chewing on leaves and blossoms.The beetles emerge from the ground during early June and are active up to August. They need to be controlled to protect your garden. Japanese beetles can wreak havoc on plants. 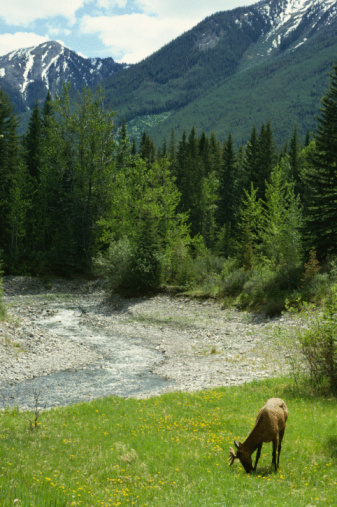 Grow repellent plants in your garden near the infestation site. Plants such as catnip, chives, garlic, tansy and rue are said to be repellents for Japanese beetles. Larkspur and four-o'-clocks will attract the beetles and poison them when the beetles attempt to feed. Spray the plants with soap. Combine two tbsp. of liquid dish soap with one quart of water into a bucket. Pour the solution into a spray bottle and spray the leaves of the plants to make them unattractive to the beetles. Remove any beetles from the plants by picking them off and dropping them into a bucket of soapy water. Japanese beetles are attracted to areas where other beetles are located. Remove damaged leaves and foliage from the plants. Beetles are attracted to the damaged foliage. Sprinkle dried and crushed red pepper or cayenne pepper onto slightly damp leaves of the plants and onto the soil around them as well. The capsaicin in the pepper can help repel the beetles. What Is Eating My Hydrangeas?